The Bar Council has continued to provide leadership to equip the whole Bar to meet current and future challenges, and to help barristers to maintain and enhance the quality of their work, adapt to changing circumstances and operate more efficiently and effectively. This work ranges from practical assistance such as supporting barristers with childcare responsibilities to managing the Direct Access Portal for members who take direct instructions. It also includes work to ensure the profession is accessible to as diverse a range of applicants as possible. Click on the links below for more information about the Bar Council's work to support the profession. The training programme developed by the Bar Council Training and Events team is designed to support the Bar in developing new ways of working to enhance individual barristers’ practices. The Direct Access Portal (DAP) was launched in October 2015. Free for consumers, it puts them directly in touch with a barrister, mediator or arbitrator. The Bar Council has encouraged barristers to sign up to the portal and has developed relationships with third parties. In February 2017, the Bar Council launched a debt recovery panel to help barristers with payments owed to them by professional clients. Two law firms that specialise in this area were initially appointed to the new panel, with more expected to sign up. The Chair of the Bar, Andrew Langdon QC, undertook an extensive programme of visits to the Circuits after he took office in January 2017. By the end of March 2017, he had visited chambers in Cardiff, Swansea, Manchester, Liverpool, Plymouth, Exeter, St Albans, Nottingham, Birmingham, Hull, Sheffield, York, and Leeds. For work that cannot be funded by the Practising Certificate Fee (PCF), the Bar Council continues to seek a voluntary contribution from barristers, known as the Bar Representation Fee (BRF). 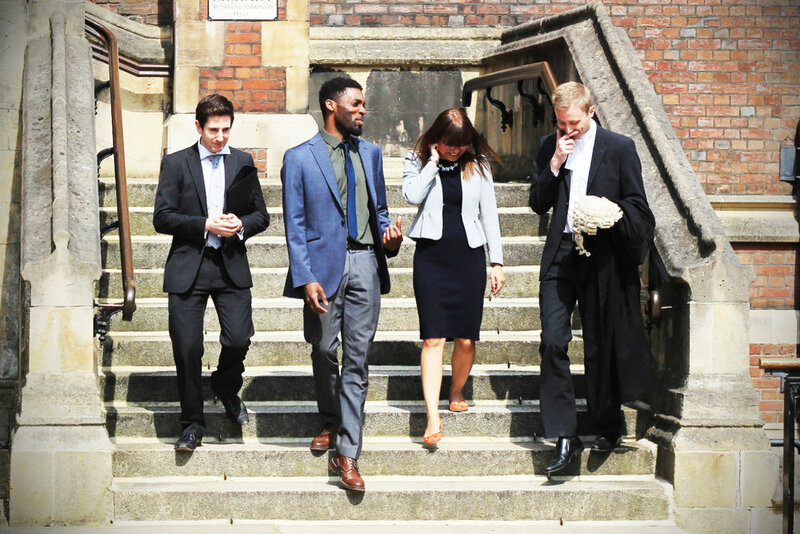 This year’s Bar Council Pupillage Fair attracted over 50 exhibitors, including Specialist Bar Associations (SBAs), universities and chambers, and was attended by over 600 students.